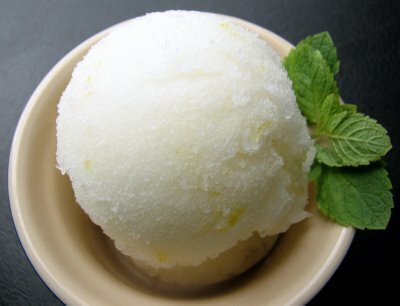 INTERMEZZO: (“in between”) sorbet course designed to cleanse the palate before the main course of a formal, multi-course dinner (not generally served for less than a four-course meal). 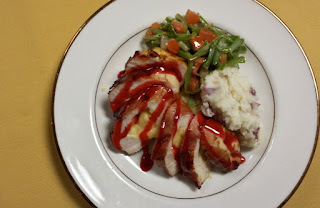 PLATED SERVICE or AMERICAN SERVICE: Each plate is prepared in the kitchen and is covered. 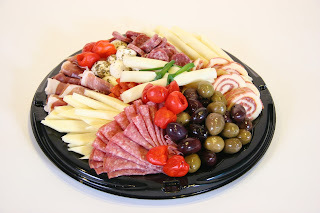 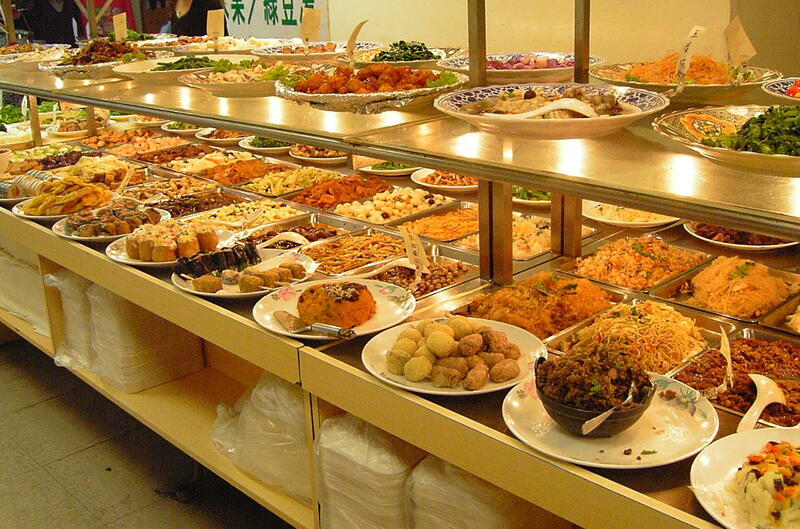 Plates full of food are brought from the kitchen and placed in front of guests. 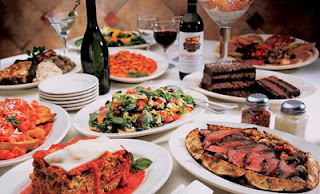 The cover is removed at the moment the meal is served. 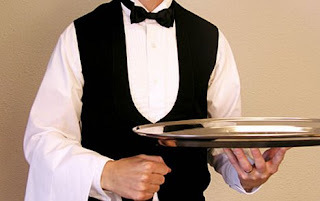 RUSSIAN SERVICE: This is similar to French service except the extremely coordinated waiters hold trays with platters of food–prepared in the kitchen–in one hand and serve guests with the other. 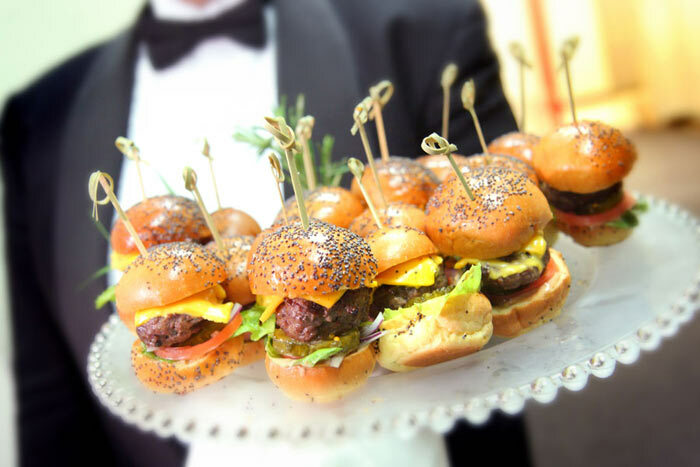 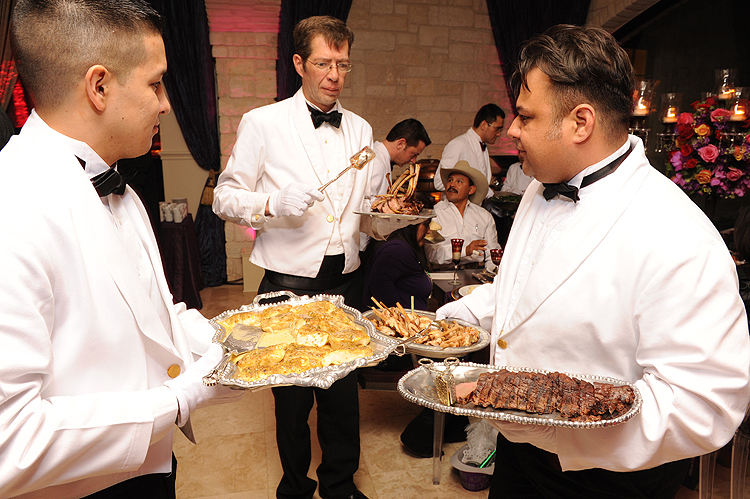 TRAY/BUTLER SERVICE: Waiters walk among wedding guests with trays of hors d’ oeuvres or drinks.